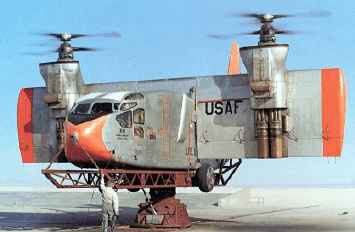 AA-2011 is the Hiller X-18 V/STOL cargo transport. The C.6 was built in Spain using the wooden wire-braced fuselage, tail unit, engine (110hp le-Rhone 9Ja), and slightly modified wider-track landing gear of the Avro 504C trainer, to which were added a four-blade rotor and Bristol Fighter ailerons attached at the rear of small fixed surfaces on outriggers. This flew in 1924. A second example, the C.6A was built in Spain in 1925. This differed from the C.6 in that the rotor diameter was increased; it had slightly wider landing gear, a taller rotor pylon, a smaller stabiliser, but a larger elevator. The C.6A was shipped to England, demonstrated to the Air Ministry, and extensively tested at RAE Farnborough. 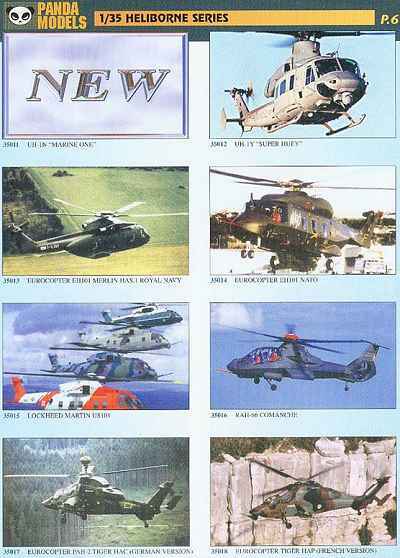 The success of these tests was such that Cierva moved to England and established the Cierva Autogiro Company in 1926. The C.6C was ordered by the Air Ministry and built under licence by A.V.Roe (Avro Type 574). This was a single-seater with a 130hp Clerget 9Bb engine, standard Avro 504 landing gear, and revised ailerons & outriggers. It was given the military serial J8068. A second aircraft, the C.6D (Avro 575), was completed as a two-seater, and was given the civil registration G-EBTW. This was later fitted with stub wings, as was the C.6C. In 1927 the C.6D was modified to carry a new rotor design incorporating flapping and drag hinges, and became the C.8R (Avro 587). Also tested with a three-blade rotor, it was scrapped in 1929. 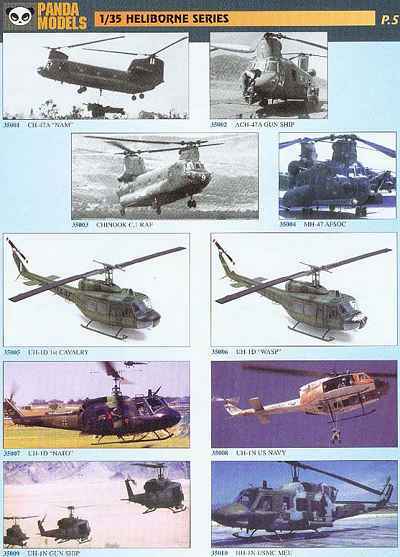 As test and development aircraft, these machines went through many modifications during their short lives, making a very wide range of model variations possible. 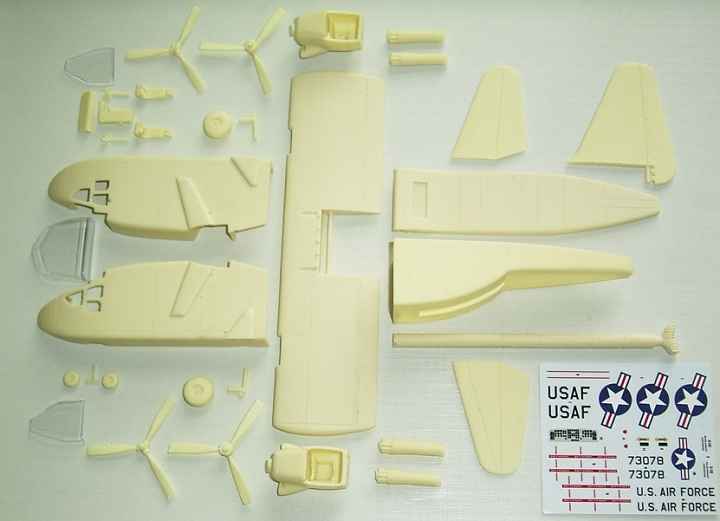 It will be interesting to see whether the origins of these kits can be traced back to the Airfix 504 (as with Amodel's 504s and KaSKr gyros), or whether the moulds will be original - avoiding the minor size and shape problems of those kits. 35013 - Merlin HAS.1 RN - the picture shows the prototype civil utility version PP9 I-LIOI ! 35014 - EH101 NATO - the picture shows the first prototype NH-90 ! 5. Seen on Ebay recently (Item # 3147245704) was a 1:48 Academy Blackhawk with decals and extra resin parts (UHF/VHF antenna & searchlight unit) to make a Hong Kong Government Flying Service S-70. This special boxing comes from Wah Keung Model, but I have no idea when it was issued or whether it is still available. 6. 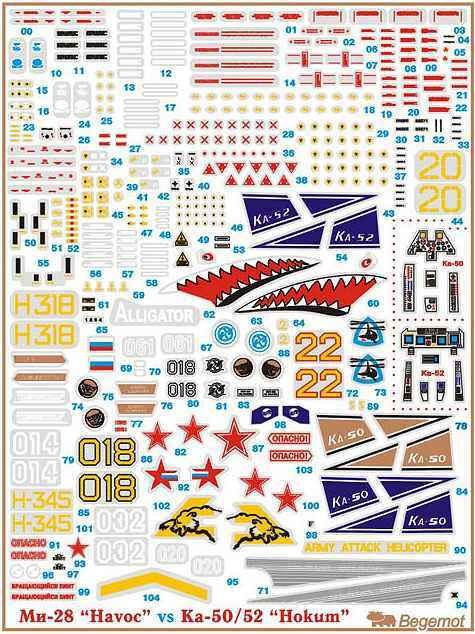 Nightflight have published a letter explaining the current state of progress with their first kit, the 1:35 MH-53M Pave Low IV. Patience and understanding are the order of the day. Thanks to Peter Farina, Yevgeny Borissov, Tony Morgan and Andrey Kotkov.